So where to start, ok how about this, something i haven't said in a while, GREAT, AMAZING, WONDERFUL EPISODE!!!!! It was great from beginning to end. It went back to basics, POTW focus with House snarkiness and side subplot. And NO shipiness. Granted I LOVE my House/Cam but my fangirl heart for House on a whole was swelling with pride. 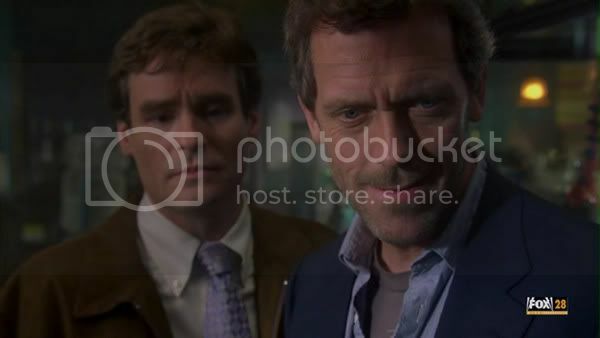 Wait there was a litle shippiness, because I am totally shipping House/Hector forever! SIgn me up, I love that little pill popping dog. He is House's true soul mate. I can picture them both laying out on the couch watching New Yankee Workshop stoned out of their minds! 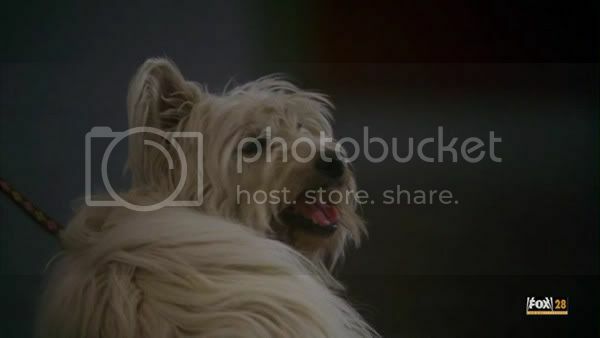 (And I am in no way condoning drugging a dog at all in real life, I'm all against animal cruelty, i own 2 beautiful pups myself but come on, it was hilarious on the show!) I guess a lot of people didn't like this so much but for me, House really loved Hector in the end and didn't want him to leave. DId anyone else notice that Hector looks like the dog from Jeeves and Wooster Season 1? And the House/Wilson banter. I love to watch RSL and HL work off each other, it's a thing of beauty. The whole cane shoping was priceess. The hat, apology, and various canes. Amazing and BITCHIN!!!! 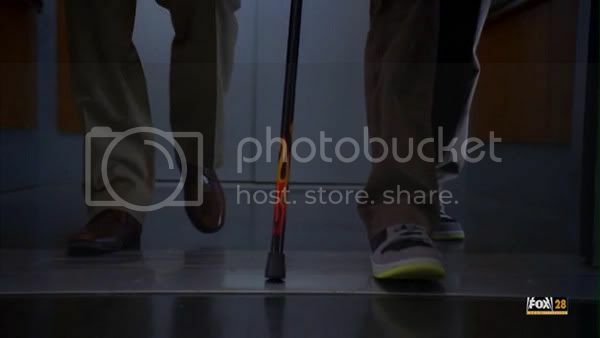 THe whole AC/DC, slo-mo walking in with the new cane priceless. and Cam saying, "Flames" with the response "Makes me look faster" Swoon! Oh House, how I've missed you. Can't forget about the POTW, it was compelling and heart wrentching. Good job. Watching Foreman do the Bone Marrow part was hard, it looked painful but still great storytelling. On the minus side, Chase looks like a moron, I'm sorry how more pathetic can you be. Get over it. And Foreman, NOW you don't want to be like House? WTF, what about the past 3 years? Other than that, it was great! I try so hard to avoid spoilers, I missed the last episode because of the Lumberjack Gods and still haven't really found out what happened. I did see "Kids" and I really liked that episode to. Lots of House and WIlson goodness. I will buy Season 3 of course, I have got a little caught up in the shippiness and it's clouded my overal enjoyment of the show. I'm just going to go in and enjoy it like I used to. My ship's time wil come one day! I have got a little caught up in the shippiness and it's clouded my overal enjoyment of the show. I'm just going to go in and enjoy it like I used to. My ship's time wil come one day!